BRYAN EATON/Staff Photo. 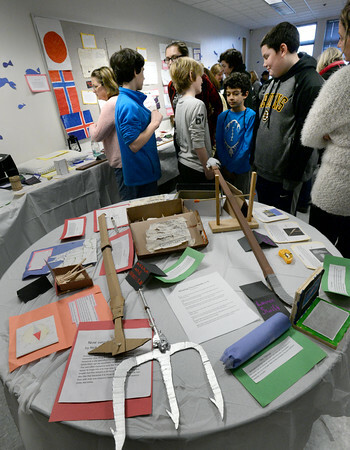 Amesbury Middle School seventh-graders show off a museum of replica artifacts they created to their parents on Wednesday. The students had been working on a Fishing and Whaling research project where they visited Lowell's Boat Shop and had visits by actual fisherman several weeks ago to give them a history of the industry.